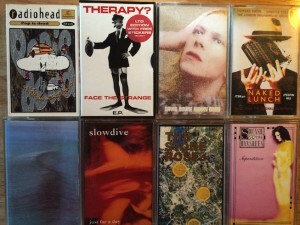 This article by Zach Sokol talks about tapes and it gives me warm and fuzzy feelings. 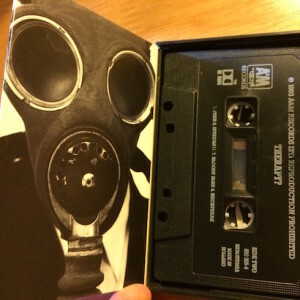 An individual under the name Bluesmojo wrote about running a cassette label: I run a cassette label. It’s not a “hipster” thing (if you have a problem with how other people consume music, you’re the “hipster”). It’s not about being analog snobs; most labels have Bandcamps and you can just download the releases if you don’t want to buy the tapes. I think the medium is an artifact of the origins of this scene, which grew organically out of other movements that never abandoned cassettes (noise, punk and metal). At the end of the day, I think it’s about community. does it come with a download? who pays 9 quid for a tape these days? and what are they playing it on? 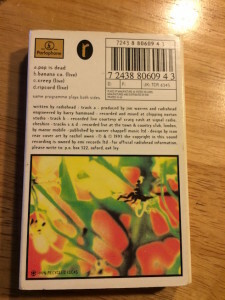 Looking for more sensibly priced tapes I found A Giant Fern in Leeds which does cassette releases with accompanying streaming, FLAC and mp3 downloads. I found them via links in United Cassettes. Having bought vinyl for 20 quid and then only listening to the free download, a fiver for a download plus a nice physical artifact seems like a much better deal. For hardware, unlike turntables not may people are making new tape decks — this TEAC is the only one I can see, and it will cost you 300 quid, and it has all the things that tapeheads supposedly don’t want like auto reverse. Unfortunately getting a s/h deck is a lottery — I bought a mid-range Yamaha Natural Sound deck a few years ago and its motor was knackered. The Sony I have now is low end (TC-WE435) but it’s OK and only cost me 30 quid. Anyone with 300 quid to burn on a tape deck should be looking at a secondhand Nak and a service anyway. 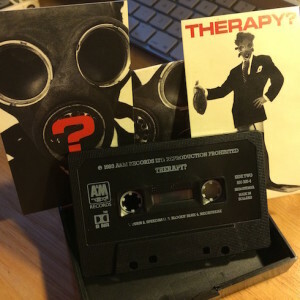 The second best thing is the way tape, like vinyl, forces you to listen from start to finish (when I got a sony CDP with a skip wheel it was the beginning of the end). The third best thing are the RYKO Bowie releases which are still good. It’s all about the physical artifact — just like vinyl, or a handwritten letter, or a RPG zine. 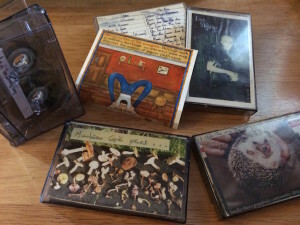 But also while I appreciate vinyl as a thing, I don’t feel a nostalgic tug the way I do with tapes which are tiny and portable and can be made very personal. Last, anyone who tells you that “cassette will wipe the floor with an mp3” is probably not making a fair comparison because they’re a tapehead playing their tapes through a Nakamichi Dragon and their mp3s from their laptop. Tapes have something magic, like vinyl. But playing tapes again made me appreciate my modern DAC and Amp.